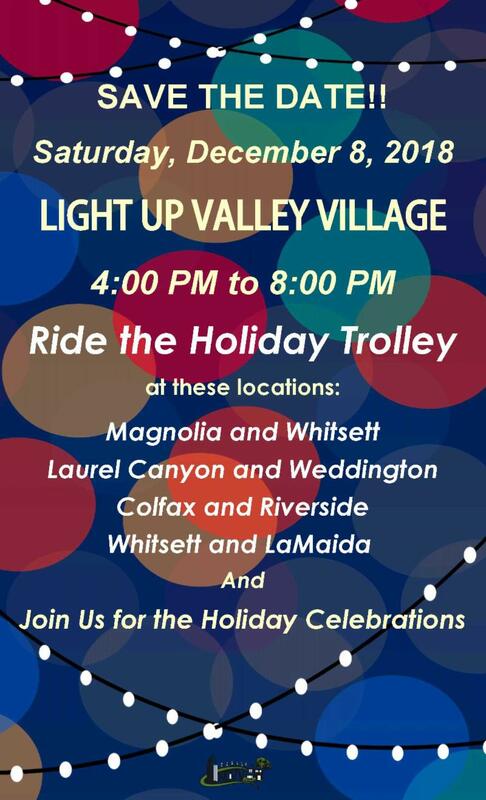 Neighborhood Council Valley Village invites you to celebrate the annual Light Up Valley Village Block Party and Merchants’ Holiday Open House. Local businesses will host discounted shopping, special activities, free food and more. Shop locally this year. This year’s celebration will feature decorated trolleys riding through the community enjoying lights and holiday decorations. 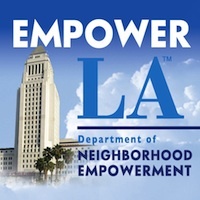 There are 2 trolleys that will move between our street party on Magnolia at Whitsett, and other party “hubs” including Valley Village Pet Supply on Laurel Canyon, Marie et Cie on Riverside at Colfax, and Carter Sexton Artist’s Supplies on Laurel Canyon.